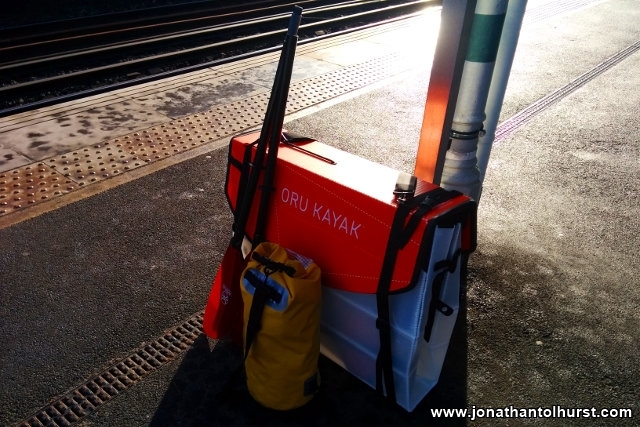 Yesterday I headed out to Windsor on the train with my new Oru Folding Kayak. The plan was to paddle back down the River Thames to Surbiton. 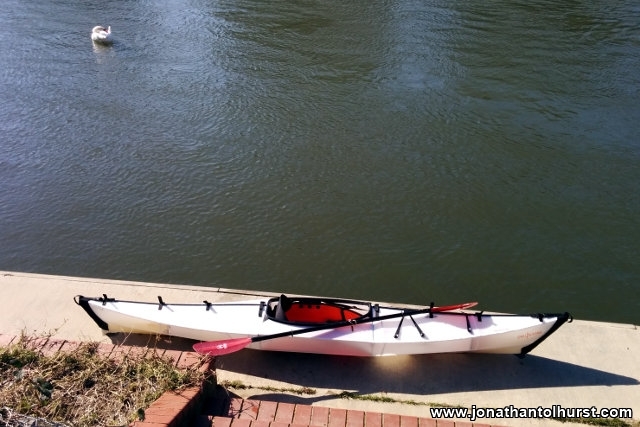 Arriving around 10:30 into Windsor and Eton Riverside station, I then walked along the Thames path to Romney Lock where I set about assembling the kayak which took me around 15 minutes. After going through my pre-launch checks I got under way from the side of the lock cut. The river runs along the side of the Windsor Estate so I enjoyed the view of the castle. The only distraction from the surroundings was the continuous roar of aeroplanes taking off and landing at Heathrow Airport, the noisiest being the Airbus A380 which is gigantic. 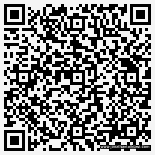 I only encountered one other vessel on the river before reaching my first portage was at old Windsor lock. 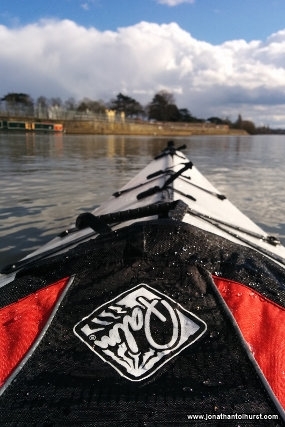 The portages along the Thames are much more “kayak friendly” than those along the River Severn. 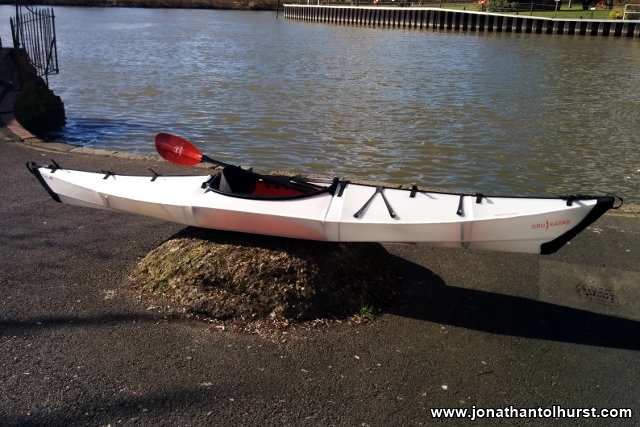 Due to its weight, the Oru Kayak is incredibly easy to pick up out of the water. I continued downstream passing Beaumonth and Runnymead before reaching my second portage at Bell Weir Lock and then headed on through Staines. At Penton Hook Lock I got an ice cream before passing through Chertsey and Shepperton. On this stretch of river I came across several crews who were practicing for the Devizes to Westminster canoe marathon. Continuing downstream I portaged Sunbury lock and from here on I was in familiar territory. My final portage of the day was at Molesey lock. My trip ended opposite Raven’s Ait. 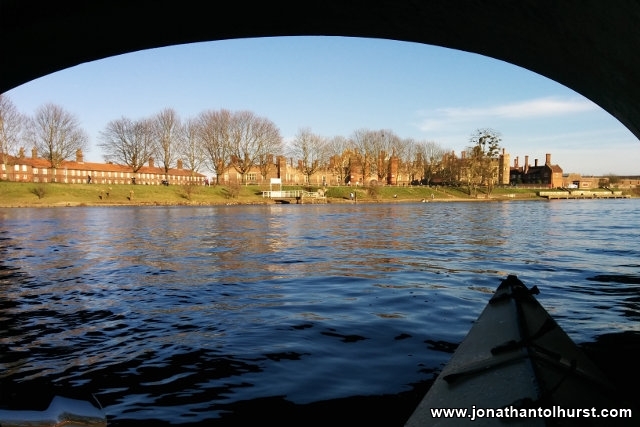 After drying off the kayak I headed off to catch the train back to South Norwood after a perfect day’s paddling. 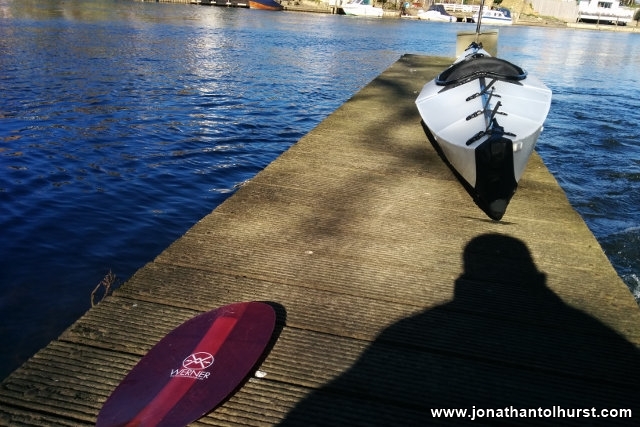 This was my first full day kayak in my Oru kayak and I as really pleased with its usability and performance.